The Labour Law and Development Research Laboratory (LLDRL), housed at McGill University’s Faculty of Law in Montreal, Canada, brings together international and interdisciplinary researchers, practitioners and students seeking to further reflections on the interactions between labour law and development and to contribute to the emergence of a transnational labour law which recentres the Global South - and the "South of the North" - and the workers and types of work typically excluded from past and current debates in labour law and development. Though our members' research interests are diverse, our work is deliberately focused on Sub-Saharan Africa and the African diaspora in countries of the North, and draws from feminist, post-colonial and critical race theories. Why? First, this region and these workers remain marginalized in discussions on globalization and labour law. Second, colonial history, the weight of informal labour in the region, and the fact that it remains one of the main targets of international development policies further justify interest in this area. Finally, the importance of the African diaspora to the economies of countries of the North and South, the development of temporary immigration programs in sectors, such as domestic and agricultural labour, and the increasing number of undocumented workers explain interest in this social category. Our research and publications engage critically with contemporary discourses on globalization, international development and labour law, and examine the marginalization of informal, rural, domestic, migrant and agricultural workers from traditional labour regulations, as well as the impact of such exclusions on development policies put forward at the national and international levels. Our LLDRL Speaker Series, lectures and courses contribute to disseminating knowledge about contemporary challenges in transnational labour law, such as the regulation of informal, rural and domestic labour, and encourage a re-thinking of the founding narratives of labour law. The Labour Law and Development Research Database (LLDRD) provides a platform for our members to share rare, poorly preserved, primary and secondary resources on labour law and development collected as part of their research. The LLDRD contributes to our goal of facilitating and strengthening the collaboration between researchers of the Global North and of the Global South. 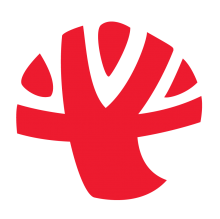 Our members partner and are affiliated with research centres and foundations, including the Trudeau Foundation, the McGill Centre for Human Rights and Legal Pluralism (CHRLP), Women in Informal Employment: Globalizing and Organizing (WIEGO) and the Interuniversity Centre for Globalization and Work (CRIMT). These collaborations have strengthened our research and publications, produced many conferences on themes related to the objectives of the LLDRL and enabled a number of scholars to conduct research at the LLDRL as O'Brien Fellows in Residence (CHRLP) and as Postdoctoral fellows (CRIMT).